Perfect smiles created at Five Star Dental Care often require crown lengthening. Crown lengthening surgery is a safe and effective procedure that exposes more of the visible part of the tooth. Some clients undergo crown lengthening surgery at Five Star Dental Care to alter their gummy smile. A gummy smile refers to upper teeth that appear too short because excess bone and soft tissue covers part of the teeth. When a gummy smile is eliminated, our Tampa patients can’t believe how it changes their whole face. They love their new smile which reveals pleasing, symmetrical portions of their upper teeth. Sometimes, a client needs crown lengthening because of tooth fracture. When a tooth breaks at the gum line or a dental crown is fractured, crown lengthening makes tooth structure accessible for the necessary restoration. Digital imaging is one of the technological tools that helps Tampa advanced cosmetic dental professionals perform crown lengthening and other cosmetic dentistry procedures. When a Tampa cosmetic dentist has a highly-detailed, 3-D image of tooth and bone structure, he/she is able to achieve the precision necessary to design smiles to the patient’s exact specifications. If you are seeking a dental smile makeover and live in the Tampa area, schedule a smile consultation by calling 813-653-2273. We are conveniently located at 3203 LIthia Pinecrest Rd. in Valrico. 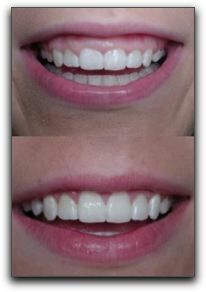 When you come in, we can show you photos of Florida cosmetic dentistry clients who are enjoying their dazzling smile that was created by the skilled smile artists at Five Star Dental Care. We also offer conscious sedation for patients anxious about dental procedures. This entry was posted on Thursday, March 3rd, 2011 at 6:21 pm	and is filed under Cosmetic Dentistry. You can follow any responses to this entry through the RSS 2.0 feed. Both comments and pings are currently closed.